Exactly two weeks from today and one of the biggest, most sensational award shows designed for all you teens will be making its way to Los Angeles! Here at Alexisjoyvipaccess.com, I’ve brought you the news of the first wave and second wave of amazing Teen Choice Awards 2015 nominees and now the excitement has reached another pinnacle as the third wave of Teen Choice Awards nominees has finally been revealed! From “Choice Web Star” – Female, Male and Comedy categories, get ready to get your vote on because your favorite stars need your help to win an amazing Teen Choice Awards 2015 surfboard and ride the wave! 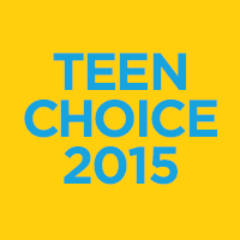 In addition, the marvelous Teen Choice Awards has also revealed who will be hosting the event and it is…. *drumroll please* – the incredible Josh Peck, Ludacris and Gina Rodriguez – what a spectacular trio to host the Teen Choice Awards! The Teen Choice Awards will be yet again another epic and unforgettable award show so be sure to tune in on August 16th at 8/7c on FOX! The Teen Choice Awards is giving YOU even more of a say in the award show and YOU get to choose what you want the official theme song for the award show to be! Do you want it to be DJ phenomenon Martin Garrix’s hit track, “Don’t Look Down” or Walk The Moon’s chart-topping hit, “Shut Up and Dance” or another song – you can decide by voting at the link here: http://www.teenchoice.com/article/hosts-wave-3-nominees-more . Check out the third wave of nominees below and be sure to vote for your favorites at this link: http://vote.teenchoice.com or on social media by using the choice hashtag and tagging who YOU want to win! It’s almost time so get those votes in! Previous VIPAccessEXCLUSIVE: The Fooo Conspiracy Interview With Alexisjoyvipaccess At The Pop Nation Tour – NYC! Next Article: Lilimar Takes On The Blindfold Make-up Challenge – Watch What Happens Here!